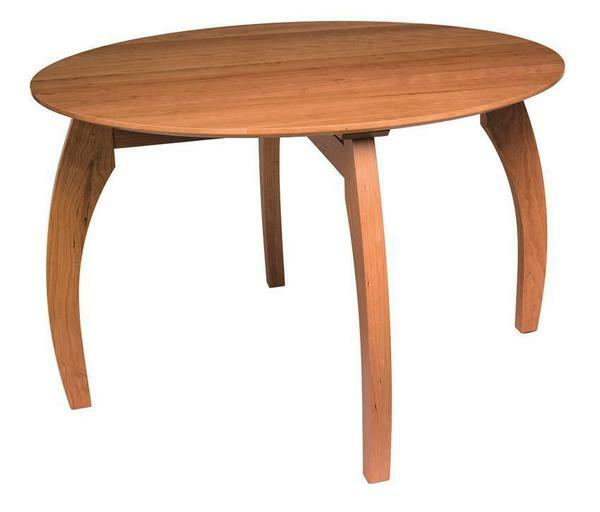 The Amish Ripple Back Round Convex Dining Table is edgy and current. This modern design built with solid wood features a round table top with convex legs that curve to display a circular look. Perfect for eat-in kitchen areas, breakfast nooks, and small dining rooms, this piece brings in a style that will draw the eye. The Ripple Back is shown here in cherry wood. Amish furniture provides quality, style and lots of custom choices. We are happy to assist with any questions. Our Amish Furniture Specialists can be reached by email or phone. Thank you for shopping with us today.